For many families with young children, taking a road trip is often deemed the best type of holiday. After all, it removes the thought of scary flights while also making it easier for the parents to keep things under control. 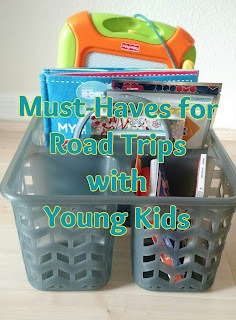 There are dozens of great road trip ideas for families to enjoy. However, if you are going to take this type of holiday, it’s imperative that the car is in great condition. After all, the vehicle plays an integral role in this vacation! Here are the things you need to consider before you jump behind the wheel and embark on a long road trip with the family. Good car safety is imperative for all drivers but especially parents of young children. You can never afford to forget its importance. Nevertheless, it feels even more pertinent when dealing with long road trips. Before making any long journey, you should be sure to check the car’s fluid levels. Moreover, you could benefit from having specialist tires, especially if you have a 4x4.Many families have 4x4 cars and they are undoubtedly better than a compact car when taking a long road trip with multiple people. Ensuring you have the right tires and wheels, such as the ones offered by Mickey Thompson, is vital. Road safety should be a priority at all times. The long journey is simply a great reminder. Be sure that your car is ready for the journey and you should be just fine. While keeping the car safe is important at all times, there are some items that feel increasingly important when you take a long road trip. After all, the last thing you want is to encounter a problem while hundreds of miles from home. Having a kit of essentials on board is imperative, especially on these long trips. You will also be traveling unfamiliar routes, so investing in a satellite navigation system could make life a lot easier too. Installing a Bluetooth device can allow you to use the phone without encountering any distractions. If you are renting a car instead, you may also want to opt for a model that boasts cruise control. Believe us, it could make a huge difference during those hours on the freeway. Finally, you’ve got to appreciate that long car journeys can be difficult for kids. If you aren’t careful, they could get bored very quickly. Believe us, the last thing you need is to hear “are we there yet?” every few minutes. In today’s modern world, there are plenty of gadgets to keep the kids entertained. The portable DVD player was once the ultimate godsend and, considering how cheap you can get them these days, they could still be vital for your road trip. These days, however, more kids are using smartphones, tablets, and portable game consoles like the PlayStation Vita or the Nintendo DS to keep themselves entertained during long road trips. Keeping the kids entertained through the journey will make it more comfortable for them, and for you. And if the drive is more relaxing, the entire holiday should feel better too.